Cape Panwa Hotel, Phuket invites you to enjoy the romantic, sensual mood of the Thai soap opera Neung Nai Suang, and follow in the footsteps of “Khun Neung” and “Khun Poom”. Sped an afternoon snorkelling at Coral Island then have a romantic dinner at the Panwa House, a Sino-Portuguese style mansion that houses a fantastic restaurant with a panoramic view of the Andaman Sea. 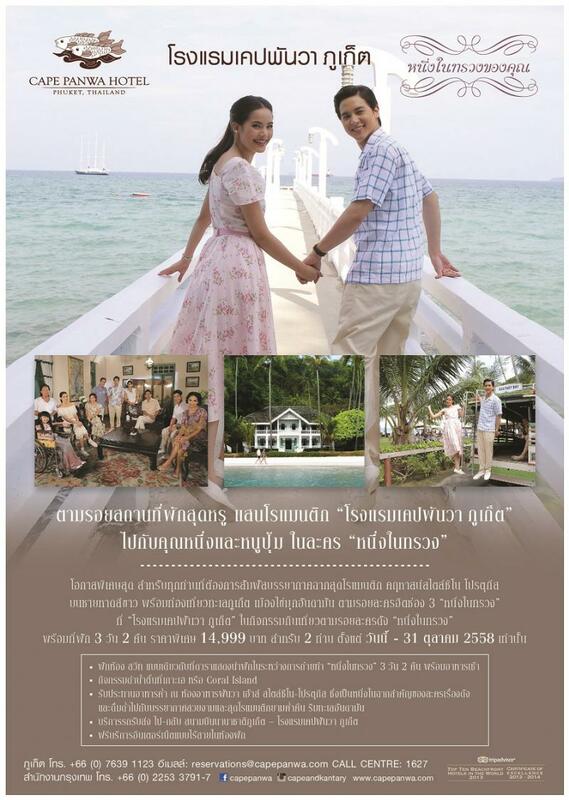 Experience a wonderful 3 day, 2 night stay for 2 persons at Cape Panwa Hotel for only Baht 14,999 net. This glamorous package is available from now to 31 October, 2015. วันที่ 8 มิถุนายน 2558 เวลา 11:41 น.